Have you ever dreamt of opening a yoga business? 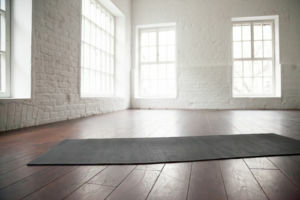 Here are the main things to consider and five yoga studios that can offer inspiration. Yoga is a spiritual science of self-realisation. It originated in India over five thousand years ago. If you are interested in setting up a yoga business, the five yoga centres below are worth checking out for inspiration and ideas. If you’d like to recommend a great yoga studio near you, please let us know on our Facebook page. If you are running a business and are beginning to feel the pressure and burn, it may be a good idea to start practising yoga. Yoga can have a profound effect on the circulation and the functioning of the inner organs, glands and nerves. It will keep your systems healthy, leading to greater energy, better concentration, happiness and the power to drive on in business and succeed. Run by serial entrepreneur Bob Haugh, (with investors including Irish rugby player Rob Kearney and actress Amy Huberman), Oslo Beauty offers yoga classes in several Dublin locations including Mespil Road and Ranelagh. Like some yoga studios, Oslo Beauty provides a range of services such as Pilates as well as strength and conditioning programs. There are ’drop in’ prices and annual memberships available. With six different teachers offering a variety classes, Yoga Yoga is located in two areas of Galway – NRG Fitness in the Clybaun Hotel and Active Fitness Renmore Connaught Hotel – as well as NRG Fitness in Cork. Founded by Indian native Lalit Kumar Himalaya, Yoga Valley is based in the heart of Cork city. Lalit has a vast amount of experience in yoga, having practised for over fifteen years in India, Thailand and Ireland. Himalaya Yoga Valley has built up a large following of yoga practitioners and features classes for beginners to training sessions for yoga teachers. The centre also offers laughter yoga. 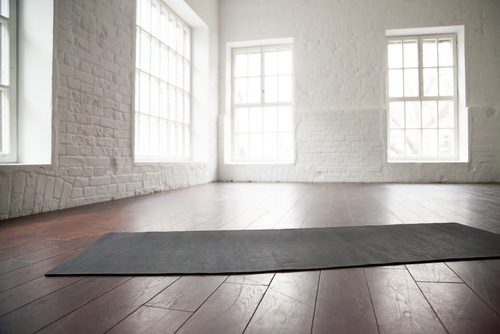 Conlea Yoga Studio is located in Blackrock, Co. Dublin on the grounds of famous Irish sculptor Rowan Gillespie’s home. Hannah Gillespie established her purpose built Yoga studio in 1990 and now has a group of ten yoga teachers working with her. With classes held on a one-to-one basis or in a group environment, Clonlea Yoga Studios offers services such as mindfulness, relaxation and general well-being classes. The studios are also available to rent for group bookings. Yoga Centre, Letterkenny, Co. Donegal is run by Sean O’Tuathalain. There are weekly classes “for beginners who wish to discover the benefits of yoga for the first time, as well as those who have some experience but wish to improve their practice and deepen their understanding”. 1: Pick a venue. Where are you going to host classes, do you have a room, do you need to rent a space, can you hold classes outdoors? 2: Get insurance. The yoga teachers’ public liability insurance policy will protect you against claims made in respect of any legal liability for property damage and personal injury arising during business hours. The policy protects you from the costs of any legal action against you and the value of any awards made. Typical limits are €1.3m, €2,6m and €6.5m. 3: Consider joining the Irish Yoga Association. If you join this association, you will, amongst other things, have access to the group insurance scheme. You can also train to become a yoga tutor with the association’s four-year teacher training course. 4: Decide what kind of business structure you want to have. Will you be a sole trader or a limited company? Here’s an excellent guide to deciding which you should choose. 5: Do you qualify for any grants and supports? Read this article to determine if you are entitled to startup tax breaks and supports. Also, talk to your accountant. 5: Figure out how much money you need to break even (and add your desired profit margin on top of that). For yoga teachers, revenue comes in the form of a simple calculation: ‘Number of people x Number of classes x Number of days’. Once you have your ‘magic numbers’ you can start marketing your business knowing exactly what targets you have to pursue. 6: Start marketing your business on social media. This guide will help. Also, make sure your LinkedIn is up to date, and you have recommendations from lots of people (friends, family, trusted clients). 7: Create a spreadsheet to track the most important aspects of your business including revenue, activities and how long each class lasts. This will help when analysing what’s working, what’s not and where to focus your energies. 8: Open a business bank account. Some banks offer excellent business startup packages. Your business account should be a separate account into which you deposit your earnings. This builds the discipline of keeping your ‘earnings’ separate from your ‘living cash’. It also allows you to track the revenue from your business and makes it easier to file your tax returns every year and keep track of your VAT obligations. Here’s a good guide to paying VAT. 9: Become ‘obsessed with leads’. Leads are the best way to get people turning up to your classes. Make it easy for your customers to invite others to join them at classes. 10: Start a blog. Here’s a guide. A blog is one of the best ways to keep people informed about your services and future offers. It’s also a great platform for you to express yourself as an expert in this field. Share what you know. Show your passion. Spread the word using social media. Talk to as many people as possible. Enjoy building your dream every day. DOWNLOAD: A brilliant business plan template and write down your business strategy. 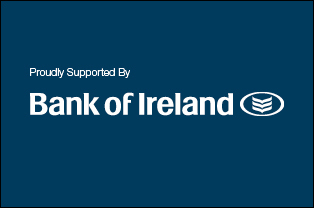 READ MORE: Here is some good, general information on starting a business in Ireland.